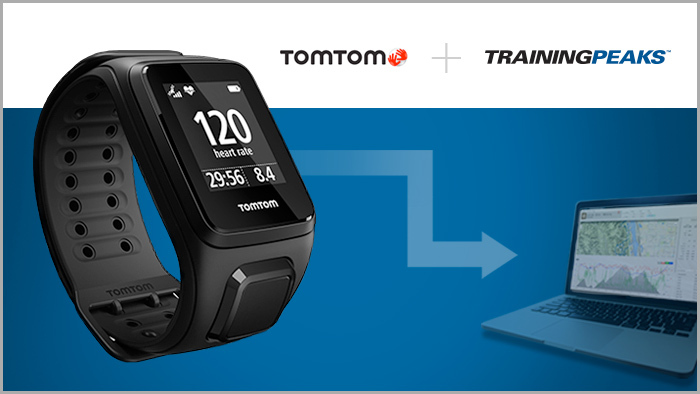 TomTom sport watches are the newest training devices to offer an automatic sync to TrainingPeaks. This collaboration will allow athletes training systematically with a TomTom watch to seamlessly push their training activities to their TrainingPeaks for tracking and analysis. Compatibility is based on an automatic data transfer between TomTom MySports, TomTom’s online sports community, and TrainingPeaks. After performing a one-time account connection, data tracked with a TomTom watch is automatically transferred from MySports to your TrainingPeaks account.